This very rare type of Strigoceras was discovered inside a Nautilus body chamber, this gave added protection during fossilization. 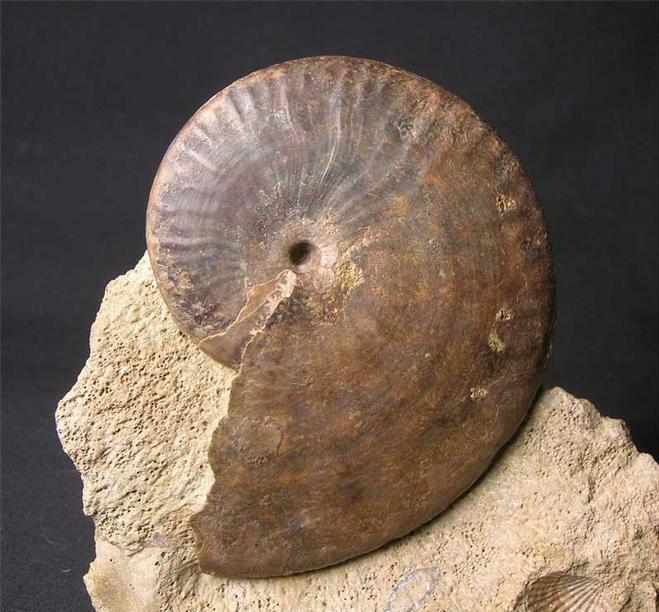 This kind of Strigoceras is not as 'chunky' as the typical ones from the Parkinsoni Zone and are fairly thin in comparison. 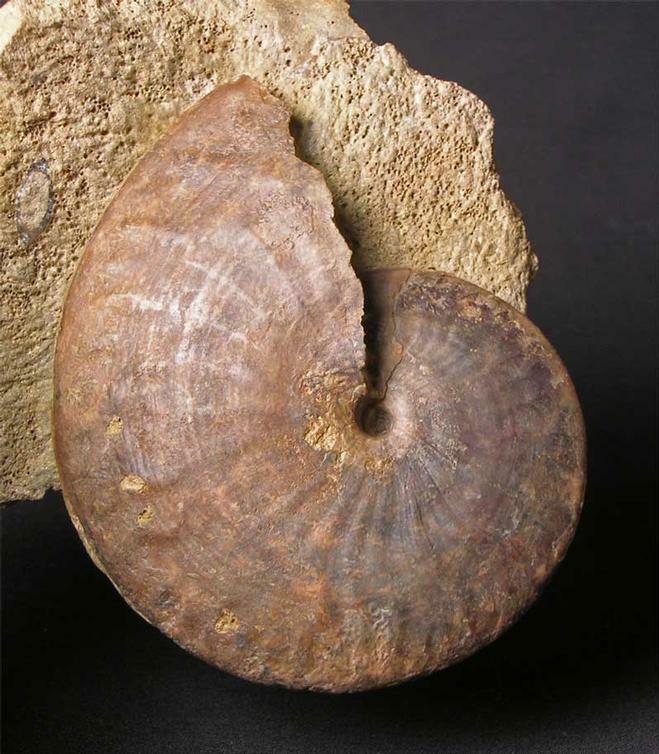 The ammonite itself was discovered during a temporary exposure many years ago. 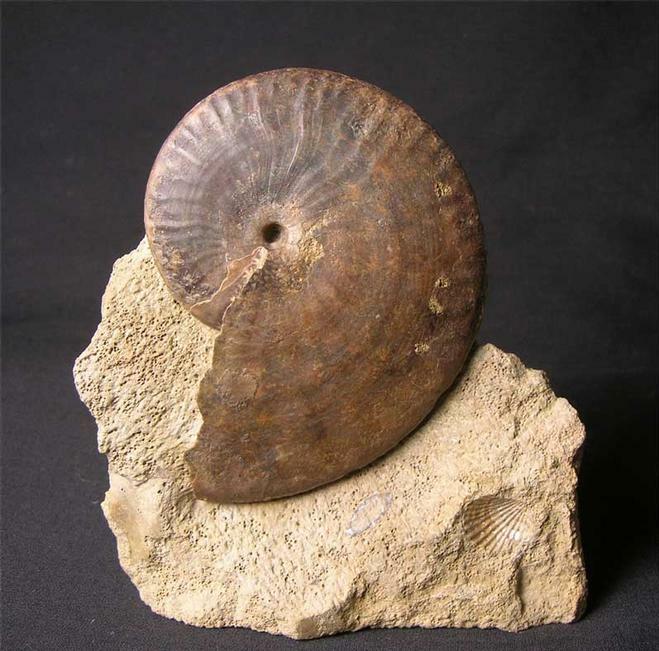 Many hours of preparation by Andy Cowap has gone into this fine and exceedingly rare Oolithic ammonite. 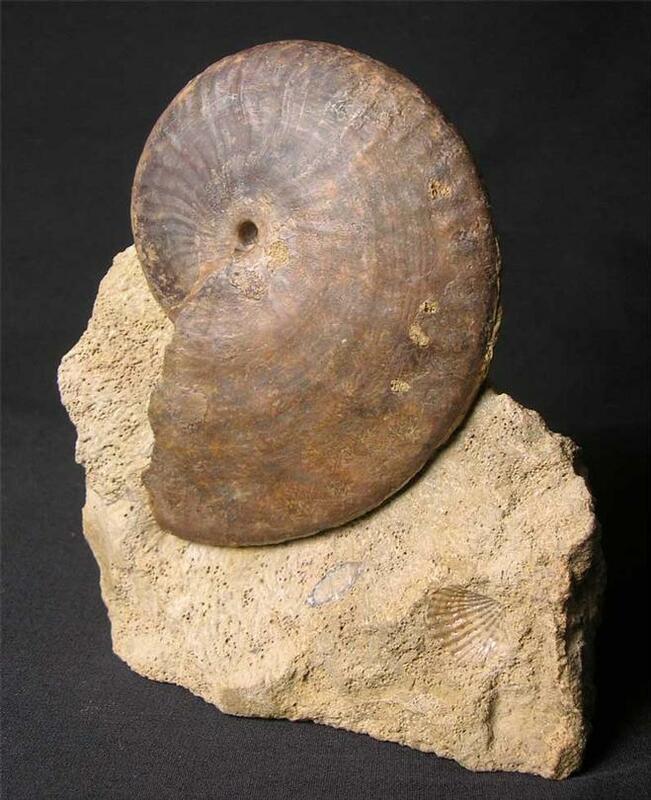 The fossil shell lies in an aesthetic piece of matrix which has a cut base for ease of display. Approximately 170 million years old.